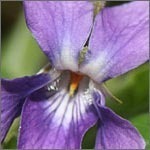 The viola is the primary member of the viola family. It has four strings tuned in perfect fifths, and is played rested on the shoulder while using a bow. Music for the viola is written using the treble clef. The viola was first developed by instrument makers in Northern Italy who drew upon earlier Middle Eastern bowed instruments as inspiration. Using High Quality Spruce in Top And Best Quality Maple in Back & Ribs and Nack Best Quality Electrometel Strings And Ebony Parts & adjusters.